Here’s one way to beat the Texas heat during the hot summer days! Climb the inflatable slide on the left of the unit, and rush down the slide into the inflatable pool below. 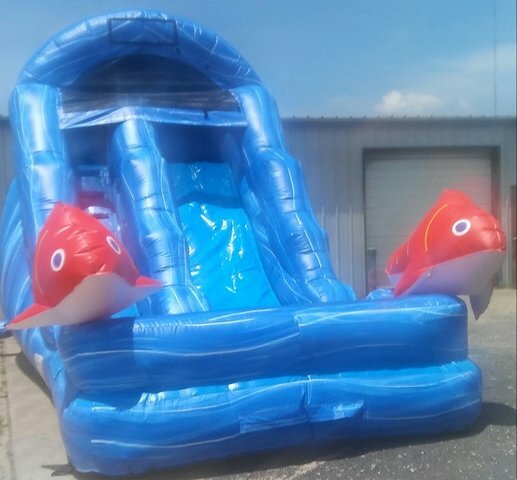 This 16’ foot high water slide is perfect for your backyard birthday party, company picnic or corporate event!